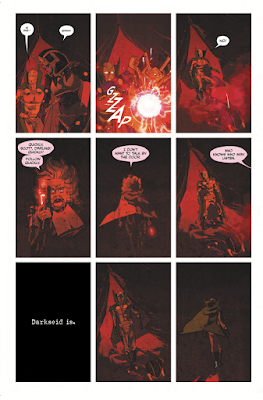 Just by glancing at it, you can tell that the art by Mitch Gerads is absolutely wonderful. He’s invoked this very classic style reminiscent of 1980’s comics, even in the colors. As the issue progresses, you get the feeling that you’re almost watching a film. 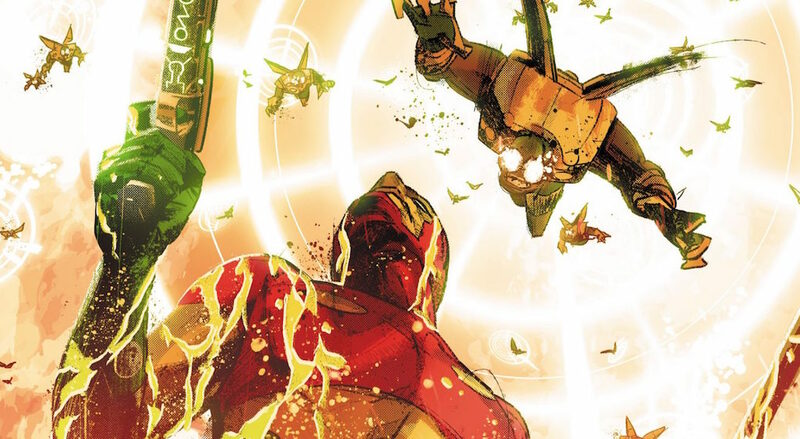 I can’t quite remember #1 being so cinematic but this issue feels like that even more so. The panel progression and slight art changes in each panel is so perfect and it’s a genius way to tell a story visually. There isn’t a whole lot of dialogue to be dumped at you, very much of it is visual and I love that. Comics are a visual medium, obviously, but I don’t think many comics take advantage to telling a story just with visuals. A picture is worth 1000 words and King and Gerads embrace that with each page. The family drama in this is brilliantly written and played out. Highfather Orion vs Granny Goodness with poor Scott and Bertha smack dab in the middle of it, questioning loyalty in the process. I won’t get into in this review, I suggest you read the issue yourself, but it’s a great read and what happens at the end is a little shocking considering the revelation from Granny. There was a scene with her talking with Scott that really got me. She has something important about Orion to tell him and she states “I don’t want to talk by the door. Who knows who may be listening.” The next panel is the now iconic black panel saying “Darkseid Is” and this gave me spine tingling chills. The timing for this panel was so perfect and haunting because we all know he’s watching and listening. The first issue had many of the Darkseid Is panels but none compared to the impact this one had on me. It’s the only Darkseid Is panel in the whole issue and it’s brilliantly used. 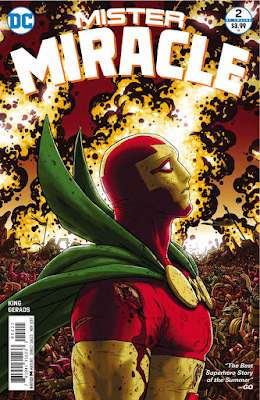 Mister Miracle #2 is a brilliant issue, crafted by the highly a talented team of writer and artist King and Gerads. It’s dark, gritty and haunting and is an instant classic. 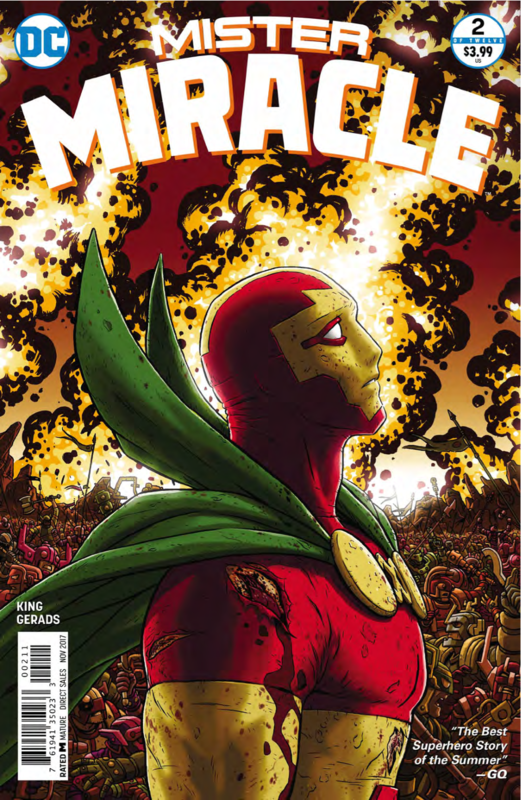 The cinematic feel of the panels, dramatic events and smart dialogue make this issue highly enjoyable and recommendable.